With National Sorry Day 2017, we at Paint the Town REaD want to say sorry. We stand with our wonderful Aboriginal Elders, colleagues and friends and want to work together to close the early literacy gap for our Aboriginal kids, made worse by the intergenerational trauma from the Stolen Generations. 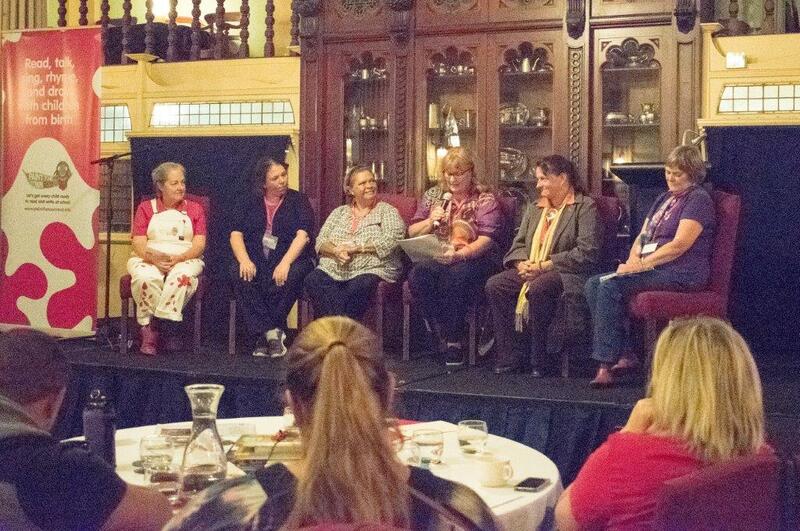 2017 Conference Panel members led by Aunty Jacinta Tobin, Aunty Maureen Silleri and Jackie Stewart listening to Tracey Kirk Downey as she spoke about the powerful and life changing impact of working with Cullunghutti Child and Family Centre Elders, staff and families.